First things first: Exciting days are upon us, with the release date for Pendragon's Heir coming up on the 26th of this month. 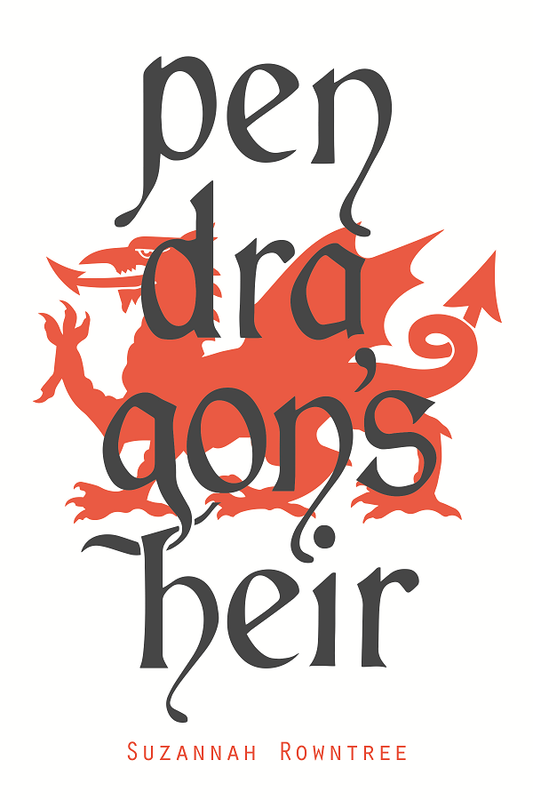 The cover reveal party--complete with a giveaway!--is still going on in a previous post; pop over to enter for a chance to win an advance copy of Pendragon's Heir in the e-format of your choice! With CS Lewis holding a respected and well-deserved position as the patron saint of evangelicalism, and JRR Tolkien's never-higher popularity with the reading public, everyone by now must have heard of the Inklings, the Oxford critique circle of which those two men were the leading lights. The other members of the group included other authors, literary scholars and philologists, names like Charles Williams, Roger Lancelyn Green, and today's author, Owen Barfield. Barfield did not, to my knowledge, write any classics of Christian fantasy (as a theosophist, he may have been incapable of doing so), but what he did write was a small body of scholarly works that have become classics in their genre. Leland Ryken gives his Poetic Diction a rave review as a foundational work on literary criticism, and ever since a friend gave me History in English Words a few years ago I've been anticipating digging into this philological classic. The book is divided into two parts. The first is significantly shorter and easier reading. Here, Barfield traces the history of the English language from its first roots as the language of an Indo-European tribal group which he calls (with a footnote disclaiming any relationship to the Nazi ideals) Aryans. Here, for example, we learn that there were four major migrations of Latin-derived words into the English language over the course of history: words picked up when the tribes who would later become English were still living in Europe; words picked up during the Roman occupation of Caesar; words picked up with the influx of Roman missionaries after St Augustine of Kent; and finally words imported during the classical craze of the Renaissance (notably parodied in Shakespeare's Love's Labours Lost). All this is perfectly fascinating, giving us the histories of a whole slew of common English words from candle to cannibal, but the main meat of the book is in the second part. Here Barfield returns to the beginning of this history and runs through it all again, this time focusing on what he calls "the Western Outlook" or what we might call the Western worldview (a word that seems to have changed in its meaning even since Barfield's time). This is the part of the book that makes it truly invaluable, since Barfield uses the history of the development of words to track the history of the development of concepts and ideas. For example, Barfield spends some time discussing the many philosophical Greek concepts which developed in the centuries preceding the Incarnation of Christ. These Greek concepts--words like Logos, mystery, and idol--were then used, sometimes with more and sometimes with less redefinition, by the writers of the New Testament to convey the truth of Christianity. I remember learning at my mother's knee how the Roman roads and koine Greek language of the ancient world were God's providence in preparing the world for the spread of the Gospel. It had not occurred to me that there had also been a philosophical preparatio Evangelica--especially these days when we tend to be skittish of ancient pagan heresies cropping up in our beliefs. And yet what more fitting than that God should arrange for Christendom to spread not just on Roman roads in the Greek lingua franca, but also in the currency of ideas which all Greeks understood? 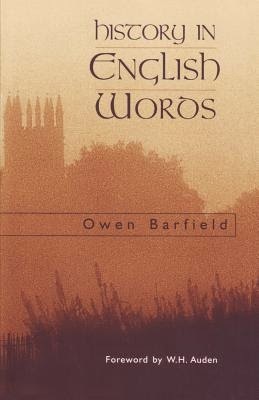 Barfield then goes on to deal with the effect upon our language of medieval Christendom, and this was even more enlightening. I have often noticed a peculiar quality of grace about Middle English and Early Modern English writings. From Langland to Bunyan, the language of the most ordinary kind of writer seems full of an ineffable tenderness and courtesy. Barfield explains this wonderful quality as intensely theological: words like passion, pity, gentle, mercy, charity, comfort, compassion, courtesy, devotion, grace, honour, humble, patience, peace, purity, and tender are all words that come down to us from this time, many of them beginning as theological terms; some coming directly into the vocabulary with Bible translations, such as lovingkindness and tender mercy from Coverdale, or long-suffering, mercifulness, peacemaker, and beautiful from Tyndale. At the same time it became possible to see a woman no longer as a hlaf-dig, a loaf-kneader, but as a lady: Christian reverence for Mary the Mother (however misguided it may later have become) and for Christ the Infant made it possible for the first time in recorded history for a culture to celebrate womanhood and childhood as precious things, to feel tender towards them, and to celebrate them in literature. After two thousand years of Christendom, it is close to impossible for us to fathom just how cold and dark the pagan world was. By contrast, the advent of modernism saw a perhaps inevitable growth of mechanistic terms and a whole new vocabulary that experienced Nature as a machine. The idea of the pump taught us how to think of our hearts, and the idea of the telegraph taught us how to think of our nervous systems. At the same time--I become sketchier here because Barfield was at this point tying my brain in knots--there appears to have been a radical process of individualisation in thoughts and concepts, alien to the more community-based life of the medievals and ancients. I am going to have to re-read this book two or three times, I think, before I've fully grasped the ins and outs of everything Barfield has to say. While I don't agree with him on everything, and I expect to disagree with him more as my knowledge in this area grows, the fact remains that this book is a truly remarkable and valuable study of Western worldviews across history as evidenced by the English language. Eagerly recommended. 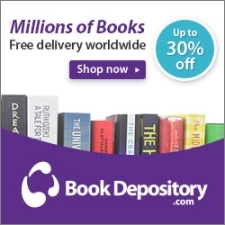 Find History in English Words on Amazon or The Book Depository. I have premonition that it will lead to my brain being knotted too but this looks like an interesting work which I Now intend to obtain and read. Many thanks for the review. As always your work makes me think. Thanks, Kim. This was a fantastic book to read, full of much food for thought! Book has just been pushed through letter box. As my interests are mainly historical rather than literary this will be the first non fiction I have read by one of the Inklings! 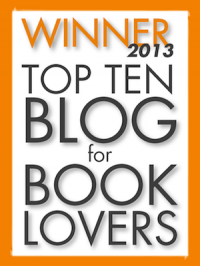 My copy is a s.h one published by Faber in 1962. The price was eight shillings and sixpence (42.5 pence). Not only can I remember pre-decimal currency but I also remember this amount seeming expensive . The first book I bought new cost four shillings.